How do those freelance designers you look up to set their prices, while most of us are struggling to pay for the lifestyle we want? We hosted a webinar with Lior Frenkel, CEO of nuSchool, on how to increase your value to clients, set your pricing, negotiate, and keep your clients happy. Watch the full recording below, or read on for our short recap on Lior Frenkel’s tips for pricing your freelance work. When Lior started freelancing, the first project proposal he wrote was in the form of a 7-sentence email that made promises he wouldn’t ultimately be able to deliver (like completing 3 websites in just 2 months), left out key information (like what content he’d provide), and set a price that was far too low for the amount of work needed. Ultimately, the project failed—in large part due to that initial proposal. After a few sour projects, Lior had a realization: it was just like Mad Men. Every freelance designer wants to be Don Draper, the creative who gets to pour over the visuals and copy and save the day with a brilliant idea. But you can’t just be Don Draper when you’re working as a freelancer—you have to be a little bit of everyone at Sterling Cooper Draper Pryce, because there’s so much more to a successful business than just the creative aspects. Freelance designers need to view themselves as a business. 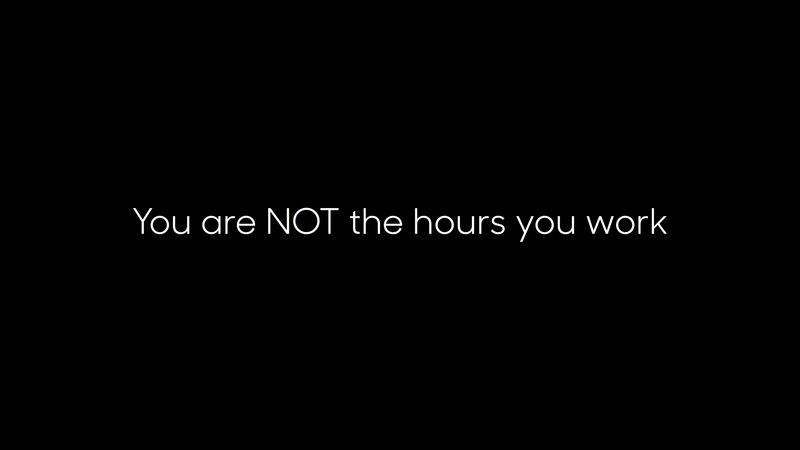 This might be counterintuitive, but you are NOT the hours that you work. Take, for example, this story about Picasso: he was sketching in a park one day when a woman recognized him and asked if he’d sketch a portrait of her. He took a few seconds to look at her before putting his pen to the paper. In a few strokes, he was done. She was thrilled when she saw the sketch, and then she asked him how much she owed him. Just like Picasso, as you master your craft and become more experienced, work that used to take you 10 hours will only take you an hour. Remember: don’t undercharge for your experience. Your clients are paying for your expertise as well as your time. When you’re starting to price your work, think about your break-even rate. Take any less than your break-even rate, and you won’t be able to pay rent. Often, freelancers take projects without figuring out what they actually need to survive. To find your break-even rate, first determine the number of hours you work per month. Then calculate the amount of monthly expenses you have—rent, car payment, internet, food, etc. Use those numbers to figure out the amount of money you need to earn per hour. This is the bare minimum that you should charge your clients. Be realistic when you’re figuring out your freelance rate. You might be tempted to say you’ll work 10 hours a day, 7 days a week, but you need to take into consideration things like meetings, lunch, supply runs, and appointments. Other things to remember: you’ll have to pay taxes monthly or at the end of the year, and you should be putting money away for retirement. And then there are equipment costs, downtime, and you may even want to plan for a vacation. We couldn’t have said it better ourselves, Jordan. For more advice on negotiation and strategies for increasing your value to customers, make sure to watch the full webinar above. There’s also more information in Lior’s new book, Value for Money.